Think live poker games are too slow? Think again, because recently a new concept called Multi Action Poker (MAP) was introduced at Isle Casino Racing Pompano Park in Florida, USA. Posted on Thursday, January 10, 2013 by "T". Day 2 of the PokerStars Caribbean Adventure Main Event brought 501 players from Day 1A and Day 1B. After about 7,5 hours of play, the field had been narrowed down to 172 - with Nicolas Godoy (picture) out in front with 724,200! Ashton Griffin, who brought the biggest stack to Day 2, made it through the day but only has 123,900 left to gamble with. Michael "The Grinder" Mizrachi and Joe Serock continued playing great during Day 2 and are among the 10 biggest stacks heading to Day 3. Now, only 28 players need to be eliminated before everyone is guaranteed a minimum payday of $15k. But of course that's peanuts compared to the money on the final table - where the winner will take home an increadible $1,859,000! 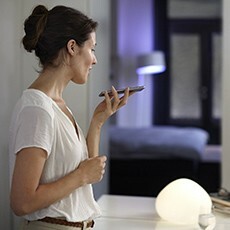 Check back tomorrow for another update! 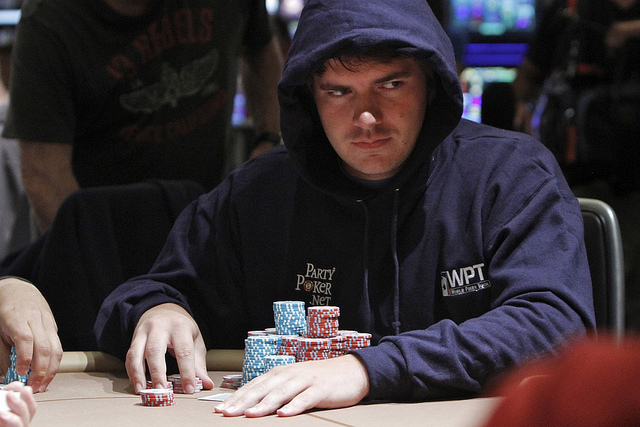 Day 2 at the WPT Five Diamond World Poker Classic is in the books. A total of 503 players signed up for the tournament and 176 of them have advanced to Day 3. 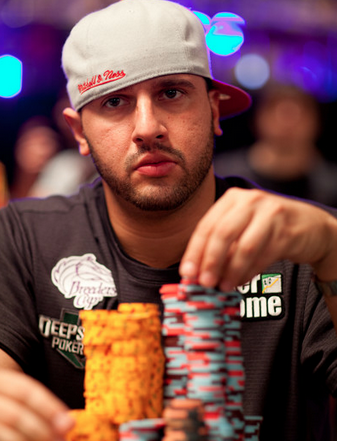 The overnight chip leader is no one else than Michael "The Grinder" Mizrachi with 272,600 chips. 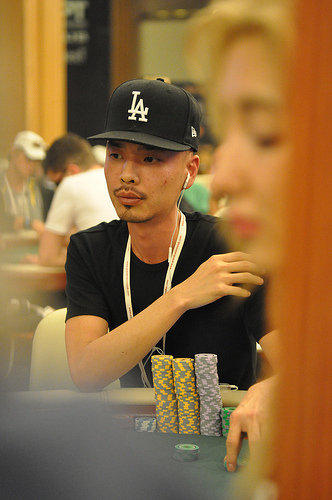 He will be joined at the tables today by Champions Club member Chino Rheem (6th place with 209k), PokerStars Pro Vanessa Selbst (ranked 8 with 202k) and Noah Schwartz (13th place with 188,7k) - just to mention 3 big names with healthy stacks. When play resumes today, blinds will be 600-1,200 with a 200 ante and there are five more levels of poker until a new WPT champion has been crowned. The top 54 places get paid so the money bubble should burst during Day 3. Posted on Wednesday, August 29, 2012 by "T". 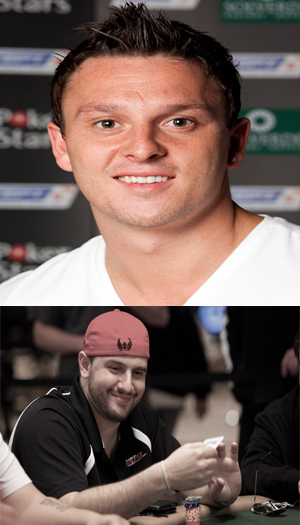 The International Stadiums Poker Tour (ISPT) team has been strengthened even more as the British poker pro Sam Trickett has joined as ambassador. 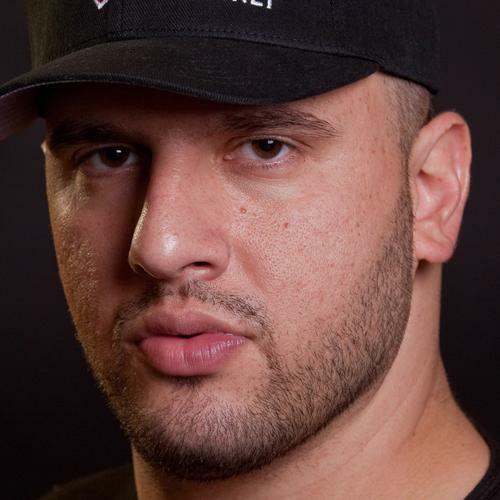 Trickett, who is the U.K.'s all-time money leader with more than $15.4 million in live tournament winnings, will now work together with Michael "The Grinder" Mizrachi to promote what's expected to become the world's largest tournament in the history of live poker. The tournament is scheduled for May 31, 2013, at the Wembley Stadium in London, England. The buy-in is €600 (1 rebuy or add-on possible) and 30,000 players are expected to take part and fight for a chunk of the €20,000,000 prize pool. The players will play online against each other at first, then the "laptops" will be put aside when 3000 players remain and live action begins. 1000 seats are reserved for players that want to buy-in directly (€6000) to the live part of the event. WPT Merit Cyprus Classic: Chino Rheem leads the pack! Posted on Monday, August 06, 2012 by "T". 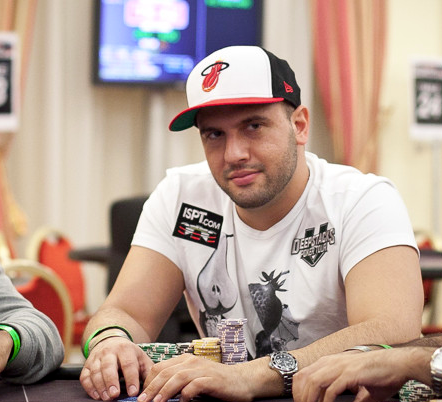 The two starting days (Day 1a and 1b) of World Poker Tour Merit Cyprus Classic were played over the weekend. The main event attracted 329 players thus creating a total prize pool of $1,212,694. Now there are 132 players left and they will return to the tables in a few hours to play Day 2. 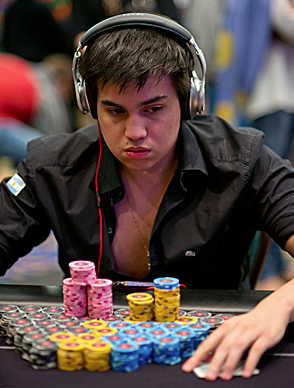 The chip leader is no one else than David Rheem with 291,500. Doesn't ring a bell? David "Chino" Rheem is a well-known figure on the poker circuit having finished 7th in the 2008 WSOP Main Event for 1,7 million and won WPT's Season VII Doyle Brunson Five Diamond World Poker Classic, earning $1,5 million. Read more » WPT Merit Cyprus Classic: Chino Rheem leads the pack! 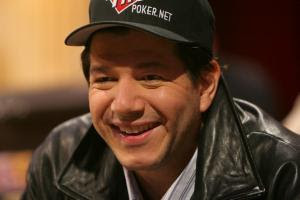 "The Grinder" Becomes Ambassador for the World's Largest Poker Tournament! Posted on Thursday, July 26, 2012 by "T". 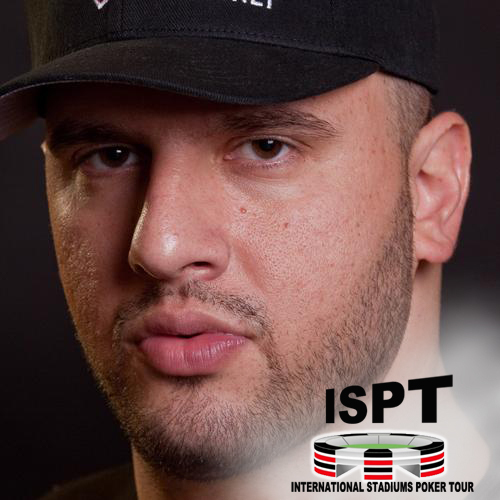 Many expect the International Stadiums Poker Tour (ISPT) to become the world's largest live tournament ever. The tournament will take place at Wembley Stadium in London between May 31 and June 6th, 2013. The buy-in is €600 (1 rebuy or add-on possible) and 30,000 players (2,631 players have registered so far) are expected to take part and fight for a chunk of the €20,000,000 prize pool. The players will play online against each other at first, then the "laptops" will be put aside when 3000 players remain and live action begins. 1000 seats are reserved for players that want to buy-in directly (€6000) to the live part of the event. 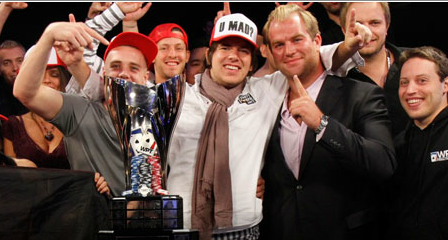 Read more » "The Grinder" Becomes Ambassador for the World's Largest Poker Tournament! Posted on Monday, July 02, 2012 by "T". This prestigious event attracted a field of 108 players (most of them well-known poker pros) that generated a massive prize pool of $5,184,000! After a five-day battle, Michael Mizrachi was the last man standing and received his 3rd gold bracelet and stunning $1,451,527! Mizrachi is now in fourth place on the all-time money leader board! 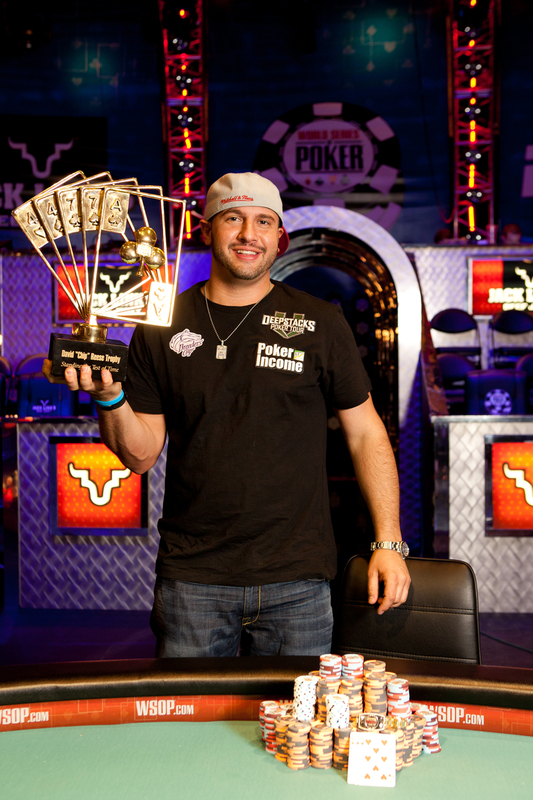 2012 WSOP Event #45: "The Grinder" in the lead when only 8 players remain! Posted on Thursday, June 28, 2012 by "T". 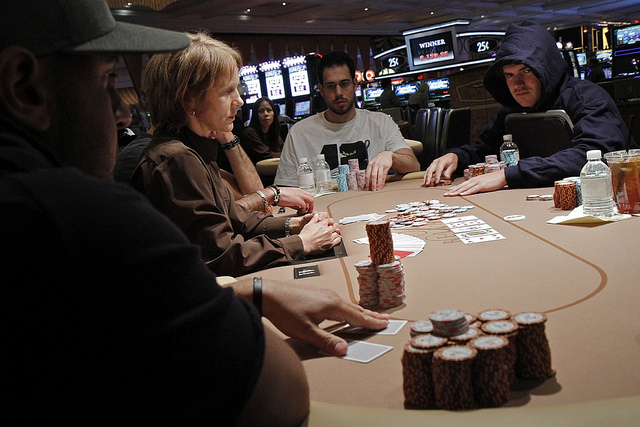 Event #45: The Poker Players Championship is now down to a final table with 8 players. 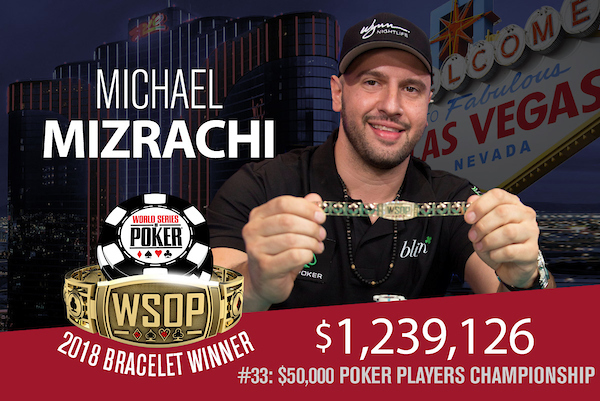 Michael "The Grinder" Mizrachi (2 WSOP bracelets) has the lead with 3,648,000 chips, and Andy Bloch (1 WSOP bracelet) is in second place with 3,598,000. The tournament attracted a field of 108 players who could afford the very expensive buy-in of $50,000! Now, after 4 days of play, the remaining 8 players are guaranteed at least 169k each! The winner will take home amazing $1,451,527 and the gold coveted WSOP bracelet! 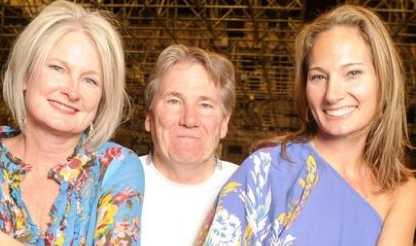 2012 WSOP: Larry Wright wins his first gold bracelet - after nearly 40 years! Posted on Monday, June 18, 2012 by "T". Yesterday, Larry Wright, a part-time poker player and retired businessman from McQueeney, Texas, that has been coming to the World Series since the 70s, won the Deuce-to-Seven Draw Lowball (No-Limit) Championship and received his very first gold bracelet and $101,975 in prize money (the biggest cash of his entire poker career). Wright overcame a field of 285 players during the three-day period that the tournament was played. 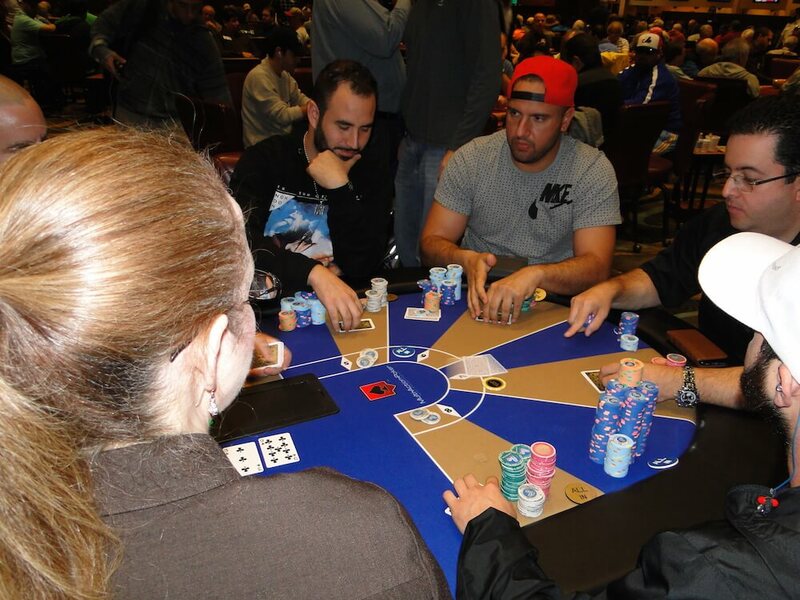 The final table included a very strong lineup - including 4 former World Series of Poker champions: Brandon Cantu (runner up), Michael Mizrachi (4th), Rep Porter (6th), and Erick Lindgren (5th). 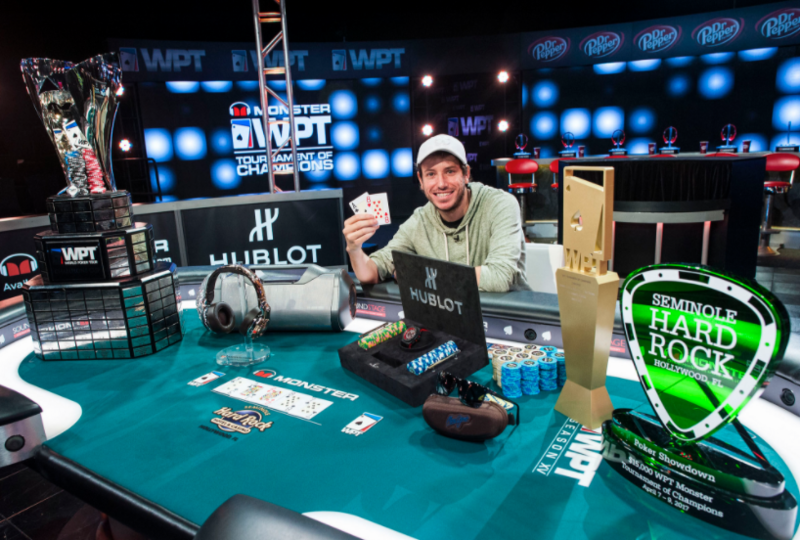 Marvin Rettenmaier wins WPT World Championship for almost $1,2 million! Posted on Monday, May 28, 2012 by "T". Marvin Rettenmaier had a massive lead when the final table kicked off last Saturday, and even though the final table included so many good players very few thought that anyone would have a chance against Rettenmaier, who had played absolutely amazing poker the last 2 days of the tournament. Read more » Marvin Rettenmaier wins WPT World Championship for almost $1,2 million! The WPT World Championship final table is set - Rettenmaier holds gigantic lead! Posted on Friday, May 25, 2012 by "T". Yesterday the sixth day of the WPT World Championship was played at the Bellagio in Vegas. There were only 9 players left and only 6 of them would make it to the final table. Marvin Rettenmaier had a big lead and could just have kicked back and relaxed, waiting for the small stacks to take out each other. Read more » The WPT World Championship final table is set - Rettenmaier holds gigantic lead! Posted on Thursday, May 24, 2012 by "T". There are now only 9 players left in the World Poker Tour World Championship after 5 days of play! But the final table is still not set as the remaining 9 players need to become 6 for Saturday's televised final table! This means that the 6 players who survive Day 6 (play starts in a few hours) will get a well-deserved off-day to gather some energy. Yesterday the second day of the €10,400 NLH Split tournament of WSOP Europe was played. And once the day came to an end the field of 72 players had been narrowed down to 16 in the 6-max format. The remaining players are now guaranteed at least €28,831 each and the first prize is amazing €336,008. Erik Seidel, Jason Mercier, Matt Waxman, Michael Mizrachi and Brian Hastings are among the 16 players that will return to the tables today and play Day 3. So, one can expect the rest of the tournament to be very exciting. Posted on Friday, October 29, 2010 by "T". 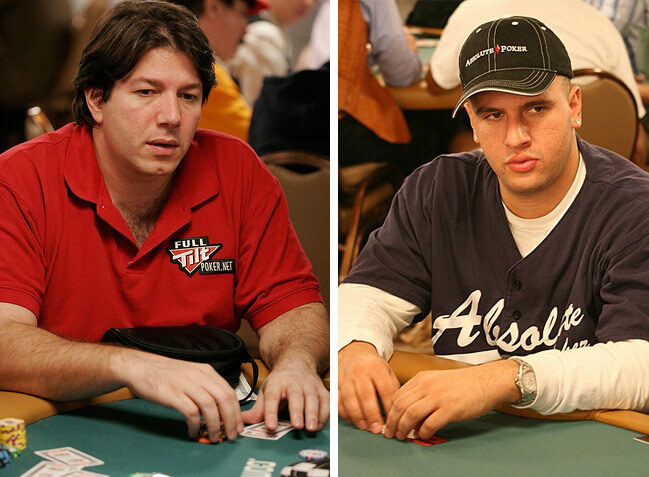 The final table of the 2010 WSOP Main Event is getting closer and closer and it's high time to take a look at some of the finalists. We start with the most interesting one. Michael "the Grinder Mizrachi, who's a well-known face in the poker world a lot thanks to his participance in High Stakes Poker, will for sure be one the most interesting players to follow on the final table. 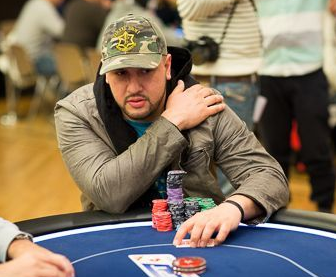 Michael Mizrachi will bring a 14,450,000 stack (7th place) with him to the final table on November 9. 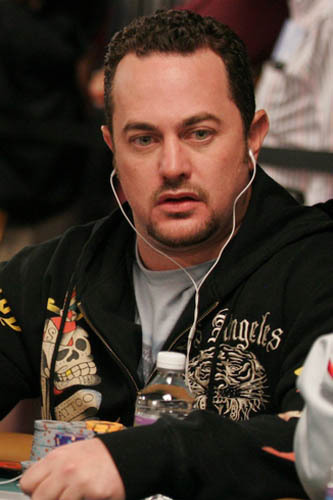 His biggest threats on the final table are Jonathan Dumhamel and John Dolan. Both Dumhamel and Dolan have monster stacks and, assuming that they continue playing the same way as before the final table, they wont be afraid to use them against the rest of the players who have equal stacks and are far behind. However, I'm quite sure that they will avoid playing against Mizrach because of his final table experience. Posted on Wednesday, June 02, 2010 by "T". 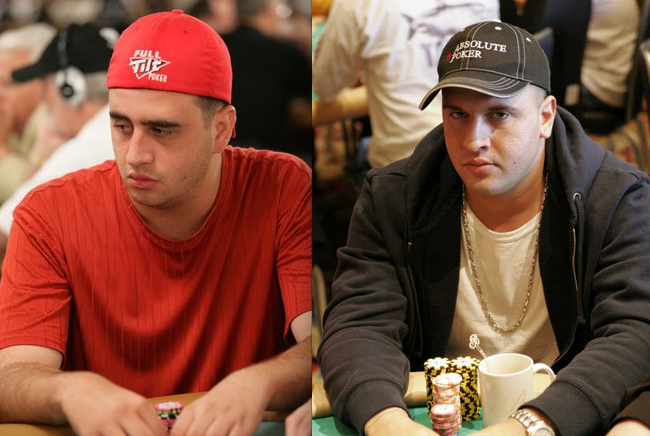 There are only 3 players left in the $50,000 Poker Player's Championship: Michael Mizrachi (6,900,000), Vladimir Schmelev (5,925,000) and David Oppenheim (picture - 4,500,000). It has been a very interesting final table so far with lots of swings. For a while, David Oppenheim who started the final table very short stacked had a massive chip lead and Michael Mizrachi was almost out. Now, Oppenheim is last and Mizrachi first. In other words, very entertaining poker to watch. The blinds are at the moment 45,000/90,000 with a 25k ante, so we can expect the game to go on for a few more hours. The winner of the tournament will get $1,559,046, the second place finisher will get $963,375, and the next one to hit the rail will get $603,348. The 2010 WSOP couldn't start in a better way! There are only 10 players left in the $50,000 Poker Player's Championship and we are probably only a few moments away from the final table. Next player to leave the tournament gets $152,739 and the remaining players will fight for the really big money. In the lead is Robert Mizrachi with 3,125,000, closely followed by David Baker with 3,095,000. Ladies and gentlemen, there is going to be an amazing final table (no matter who's going out next) in WSOP's most expensive tournament. Most remarkable about the remaining field of players has to be that both the brothers Robert and Michael Mizrachi are still in the tournament.